The May 13 meeting of the Robson Ranch Arizona Ladies Social Club was a unique gathering that honored not only the three 2015 Santa Cruz Valley Union High School RRALSC Book Scholarship recipients, but it also was a time to honor one of our own, Mary Kim. Mary Kim, a longtime resident of Robson Ranch Arizona and Ladies Social Club member, personifies the RRALSC Mission Statement, which emphasizes friendship, education and most of all charitable giving. Much to the sorrow of those who have known her friendship and experienced her dedication to others, Mary and her husband, HD, are moving to be near their children. Over the years Mary’s service to the Salvation Army bell ringing and Angel Tree, the SCV Food Bank, her devotion to supplying desserts and helping serve at the Centro Christo free lunch in Eloy and her willingness to help anyone in need has been an inspiration to everyone who knows her or who has been on the receiving end of her generosity and selfless service to others. 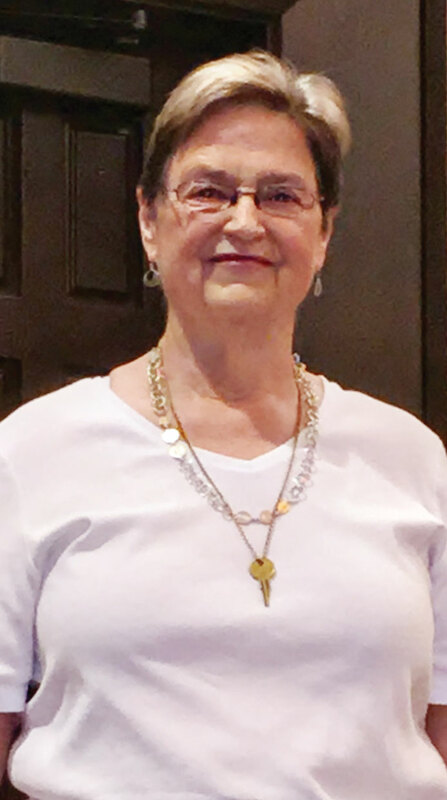 Mary was advised that the Giving Key she received and its Inspire message is hers for a time, but once it has served its purpose she must pay it forward to inspire another. Mary will keep her eyes peeled for the next person who plays a part in her Giving Key’s journey. Love is the Key. The Giving Keys exist to employ those transitioning out of homelessness to make jewelry out of repurposed keys that get sold and shared around the world. Each key is unique and carries a message like HOPE, STRENGTH, DREAM or COURAGE. The idea for The Giving Keys started with a New York hotel room key. The Giving Keys founder, actress and singer/songwriter, Caitlin Crosby, wore the key as a necklace and had the idea to start engraving old, used keys with inspirational words. Realizing that in a way we are all like these keys—unique, flawed, scarred and at risk of being discarded—she wanted these keys to have their purpose renewed over and over again. Therefore, when the wearer of the key encounters someone else who needs or deserves the message on the key, they give it away. For more information go to the website: www.thegivingkeys.com.